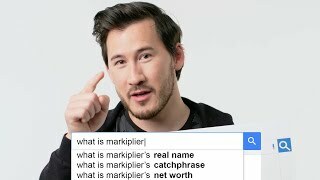 Markiplier takes the WIRED Autocomplete Interview and answers the internet's most searched questions about himself. Why does Markiplier have a pink mustache? Why can't Markiplier drink alcohol? Who drew his VIreporter icon? Why did he need to have surgery? Mark answers all of these questions and more!